Hockney, Printmaker, Dulwich Picture Gallery, Dondon, 2014. Gemini G.E.L. Sequence List. Los Angeles, California: Gemini G.E.L., unpublished, no. 395. Lloyd, Richard. 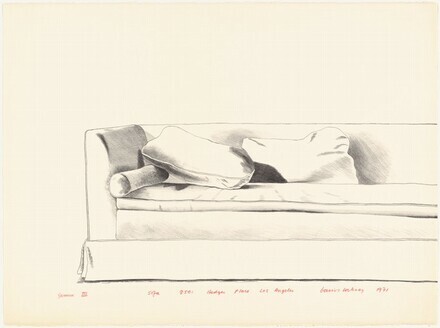 Hockney, Printmaker. Exh. cat., Dulwich Picture Gallery, London, 2014: 97, no. 53.